A staggering 707 unique illustrations of Haruhi Suzumiya, the anime icon, have been hidden on billboards, in magazines, and even handed out on the street all around Japan. 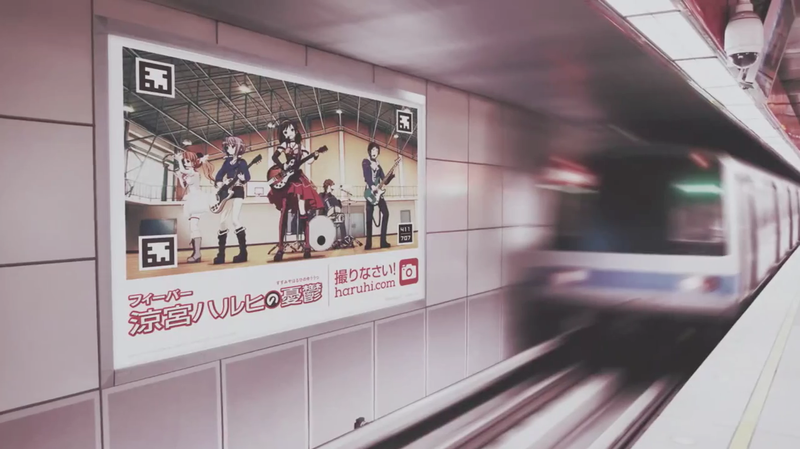 Each one has a QR code and a number that lets you report your find over at Haruhi.com, where fans are slowly filling in the film frame by frame with their snapshots—slowly giving shape to what appears to be a short anime teaser of Haruhi singing a song. The incredible Web design lets you pinpoint the found locations and hear the song so far—with the missing bits scrubbed out. Fans have been hoping it's a teaser for the first Haruhi movie from Kyoto Animation since 2010. But it seems it could be teaser for a Sankyo pachinko game instead. Still, it's a fun way to announce anything, and a truly herculean media buying effort.